Welcome at the SRA-Europe 2011 Annual Meeting! 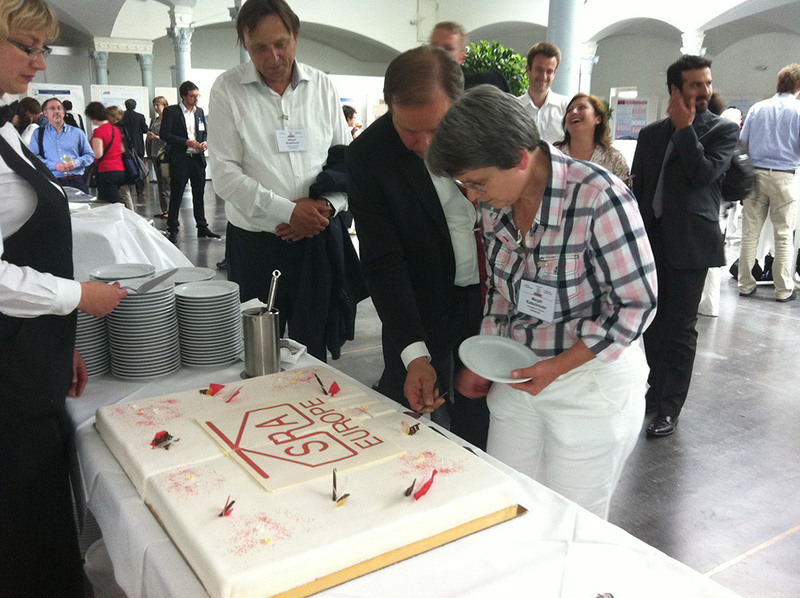 The 20th Annual meeting of SRA-E took place in Stuttgart from June 6-8, 2011 and was conducted alongside the conference of the iNTeg-Risk project. Based at the imposing Haus der Wirtschaft, over 300 participants were able to enjoy a wide range of interesting presentations. The theme of the SRA-E conference was Multi-risk analysis in a global world, and this, along with the iNTeg-Risk theme of Risk vs. Risk: Managing Emerging Risk-Benefit Tradeoffs in Complex Systems in total provided participants with over 250 papers over the 3 days of the conference (click for the book of abstracts). The conference was truly an international affair with participants representing 34 countries including Rep. of Korea, Canada, USA, Japan, Australia and China. Undoubted highlights of the conference for SRA-E participants were the plenary presentations. Ellen Peters (Ohio State University, United States) opened the conference by providing a stimulating narrative of the many interesting results of her work around understanding how numeracy affects processing information about risk. On the following day participants greatly enjoyed the challenges posed in the presentations given by Terje Aven(University of Stavanger, Norway) and Charles Vlek (University of Groningen, Netherlands) focusing on core definitional issues around risk assessment and management, uncertain risk and precaution. SRA-E participants also had the chance to hear presentations from distinguished contributors to the iNTeg-Risk conference including Gene Rosa (Washington State University, United States) and William Leiss (University of Ottawa, Canada). The SRA-E student scholarship was awarded to Nicolai Bodemer (Max Planck Institute for Human Development, Center for Adaptive Behavior and Cognition) for his paper, Risk communication during a pandemic: The benefit of disclosing uncertainty. At a welcome drink sponsored by the Journal of Risk Research (Taylor & Francis Group) we had the opportunity to celebrate 20 years of SRA-E conferences with a cake specially designed to mark the occasion. We were pleased to welcome Margôt Kuttschreuter as the new President of SRA Europe and Lars Bodsberg as President Elect. At the business meeting members were told about the impending change of status of SRA-E to becoming a legal entity in Europe. SRA-E greatly appreciated the efforts of EU-VRi, the European Virtual Institute for Integrated Risk Management in organizing the joint conference. We look forward to welcoming you to the 21st SRA-E conference to be held at ETH Zurich, Switzerland, 18-20th June 2012.